How did Zeus become ruler? Who is the Goddess of farming, the harvest and fertility? Who was born from the head of Zeus (her father)? Whose attributes include the thyrsus (a pinecone-tipped staff), drinking cup, grape vine, and a crown of ivy? Who is the Goddess of hunting, wilderness, animals and childbirth? Who is a daughter of Rhea and Cronus, sister of Zeus, and whose Roman version is Vesta? Who is NOT one of the three Gorgon sisters? Whose sacred animals are the heifer, the peacock, and the cuckoo? Who is married to Hephaestus? Who is the God of light, healing, music, poetry, plague, and prophecy? Hermes is the son of Zeus and Maia. Whose attribute is Cerberus, the three-headed dog? Not bad, but you could use a Greek touch-up! Sophocles once said that the dice of Zeus always fall luckily. We bet you agree, since you barely passed this test. But keep your chin up! - it is our hardest Greek Mythology quiz so far, and you passed it. That makes you really AWESOME. So all you need is a little touch-up before the next one. In the words of Aristophanes: “open your mouth and shut your eyes and see what Zeus will send you”. Awesome! - You got most of it right. You probably follow Diogenes’ words: “we have two ears and one tongue so that we would listen more and talk less.” You are curious, diligent, and you make knowledge your own. There is no question that you enjoy new patterns that emerge from old ideas, but what we really want to know is whether you were born to Zeus and Dione, or from sea-foam!!?? 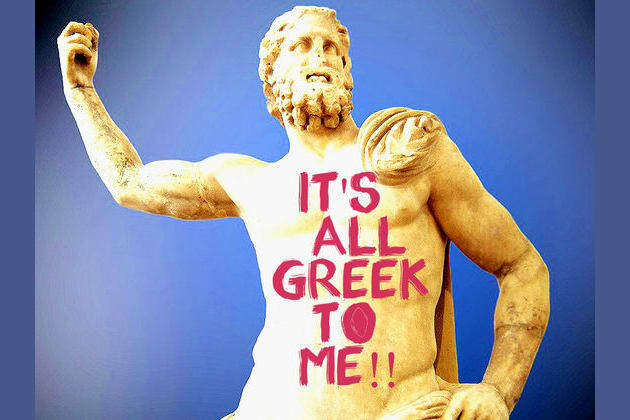 You are an expert of Greek Mythology! You are a Greek Mythology expert. In Ancient Greece, you would have been praised and regarded with nothing but utmost respect. Like Diogenes, you are not an Athenian or a Greek, but a citizen of the world. Right?